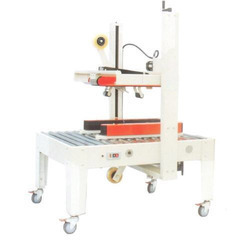 We have gained expertise in offering a supreme quality range of Fully Automatic Carton Sealers to the esteemed clients. These machines are fabricated using high-grade components and by employing sophisticated facilities. Besides, we make sure to check the products thoroughly on certain parameters so that our customers get a range of flawless products from us. 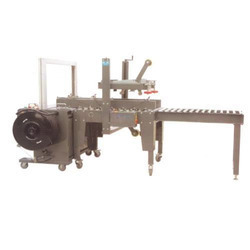 Provided by us is an excellent rang of Carton Sealer with Auto Flap Closure to the customers, which is widely appreciated for its efficient functioning and durable standards. These machines are manufactured using high-grade raw material and components that are procured from some of the trusted sources. In addition to this, we make available these carton sealers in standard as well as customized forms. We are instrumental in offering an excellent range of Automatic Carton Sealer Machines to the clients in varied technical specifications. The entire range of machines is designed and fabricated by employing latest technology and machinery, at our state-of-the-art production unit. In addition to this, we make sure to offer the products that can satisfy the clients’ requirements in the best possible manner. 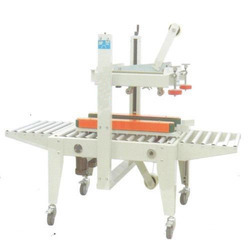 Carton Sealing Machine offered comprise pneumatic operated automatic model that can handle maximum carton size of 500x500 with carton sealing speed of 24 cartons per minute. The machine makes use of Bopp, water-free adhesive tape, Pvc adhesive tape for sealing purposes that can be used in different widths like 48mm, 60mm and 76mm. 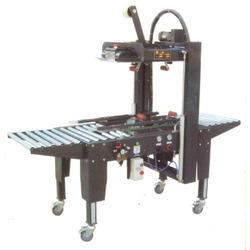 Some of its features include suitable for sealing heavy and large cartons, allows manual adjustment of height and width for different size cartons, allows for rapid and efficient sealing support. 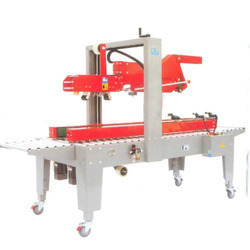 Heavy Duty Carton Sealer offered comes in heavy duty model finish and can handle maximum carton size of 700x800mm with packaging speed of 20 cartons per minute. The system is designed to make use of Bopp, water free adhesive tape, Pvc adhesive tape, tape for sealing purposes. Some of its features include allows for rapid and easy adjustment support, suitable for handling upper and lower sealing operations, can also be used for stand-alone operation & in combination with packing line, suitable for use in industry sectors like food, beverage, electronic, chemicals.